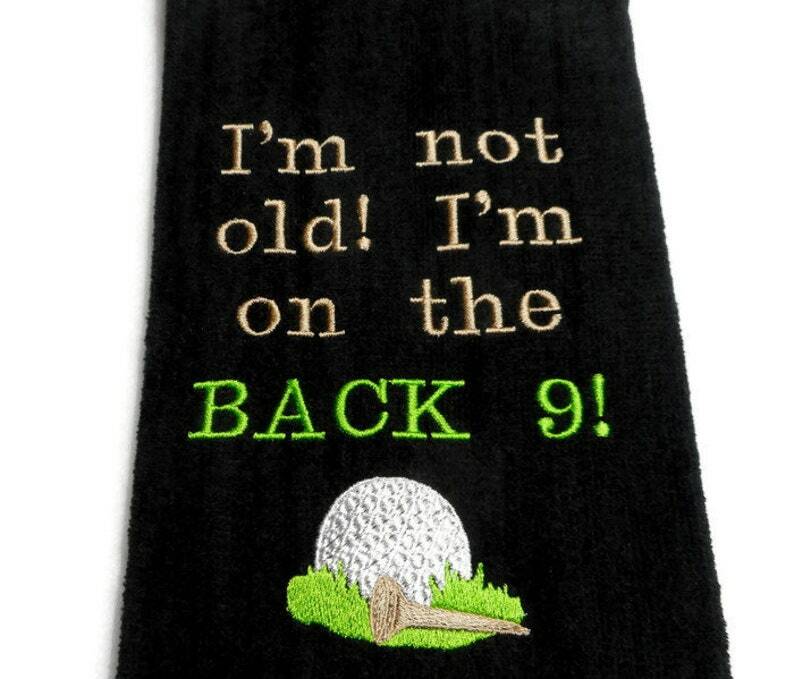 Cotton velour golf towel is a great birthday, or retirement gift for the golfer. Premium quality 100 percent cotton with plush velour finish. There is a golf ball and tee on the grass with a funny saying embroidered on this large sized thick towel. I'm not old, I'm on the back 9! This tri fold towel is shown here in black. It measures 16" x 26" and has a center brass colored grommet and hook.